The ALLTC-50 Tire Cutter is designed to cut passenger and light truck tires into 4 pieces at a rate of up to 60 tires per hour. 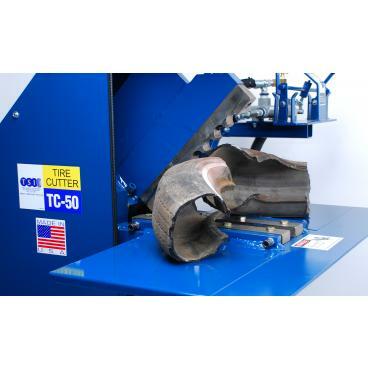 The ALLTC-50 Tire Cutter is perfect for tire shops who want to handle their own tire disposal. The patented shear blades works on a zero clearance design for a clean cut. This greatly extends the blade life compared to other designs. Two-handle valve system keeps operator's hand away from the blades while cutting for added safety. The ALLTC-50 Tire Cutter is easy to operate, low maintenance, dependable and designed for years of service. Complete factory training is included with each ALLTC-50. Tire Cutter in the US only. 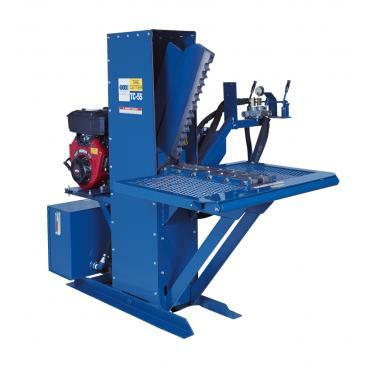 The ALLTC-50 Tire Cutter is available in gas and electric power systems. The ALLTC-55 Tire Cutter packs a big punch for a machine its size. The small footprint allows this workhorse to easily fit in any work area. 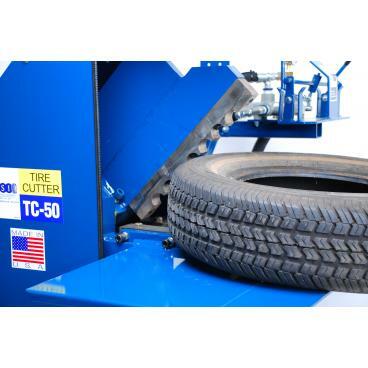 The ALLTC-55 Tire Cutter is faster than its little brother the ALLTC-50 Tire Cutter, and can handle high volumes of passenger or light truck size tires quickly. Two-handle valve system keeps operator's hand away from the blades while cutting for added safety. The ALLTC-55 Tire Cutter is easy to operate, low maintenance, dependable and designed for years of service. The ALLTC-55 will cut 17" and smaller tires into four (4) pieces at a rate up to 90 per hour. Tires measuring 18" and 19" in diameter can be quartered at a rate up to 70 tires per hour. Complete factory training is included with each ALLTC-55 Tire Cutter. The ALLTC 55 Tire Cutter is available in both gas and electric power systems. The ALLTC-100 Tire Cutter is designed to cut passenger, light truck and heavy truck tires; including super singles. Passenger and light truck tires can be cut into 4 pieces at a rate of up to 120 per hour using the optional passenger tire compressor. Heavy truck tires can quartered at a rate of up to 40 per hour. The patented double shear blade system is easily adjustable to maintain a zero clearance between the blades for a clean cut. This eliminates blade separation and greatly extends blade life. The ALLTC-100 Tire Cutter is the versatile tire cutter on the market. The ALLTC-125 Tire Cutter will cut any tire with a rim diameter up to 25 inches and tire diameters up to 52". 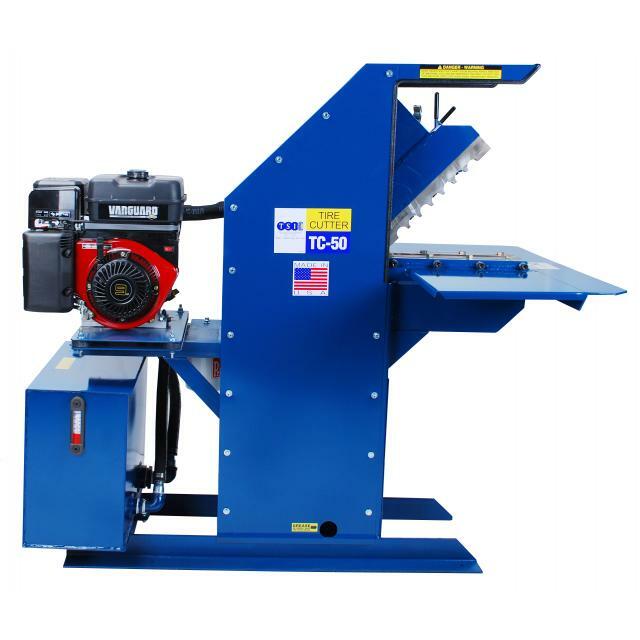 Construction tires and farm tires are cut with complete safety using the ALLTC-125 Tire Cutter large shear blades. The ALLTC-125 heavy duty tire cutter, weighing in at 5,800 lbs., is specifically designed to aid in difficult large tire disposal. Unique design features give complete operator safety and ease of operation. ALLTC-125 is powered by a 35hp Kubota diesel. 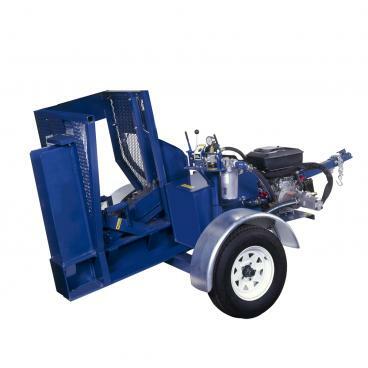 The ALLTC-350 Wheel Crusher is powered by an 18 HP V-Twin Briggs & Stratton gas engine or an optional Kubota diesel engine and is designed to crush Dayton and Budd type over-the-road truck wheels. A hydraulic lift raises the tire and wheel to the crushing platform eliminating manual lifting. 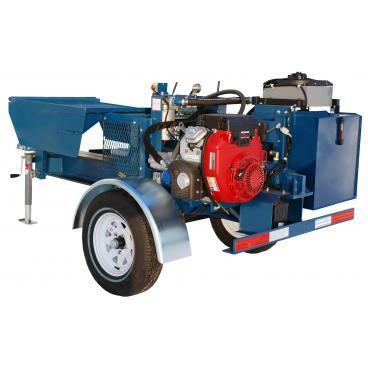 The ALLTC-350 Wheel Crusher is fully towable for mobility with electric brakes. The ALLTC-350 Wheel Crusher also includes a light package for night time towing. All operating controls are located behind a safety wire-mesh panel. 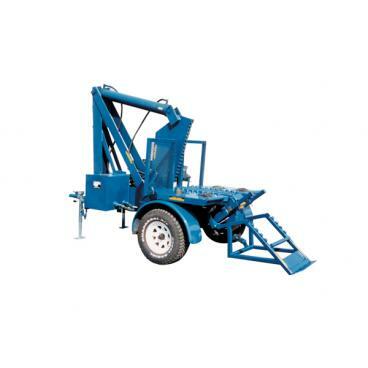 Complete set-up and training comes with each ALLTC-350 Wheel Crusher. 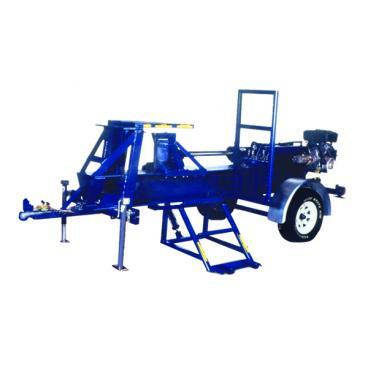 The ALLTC-300 Wheel Crusher is our best selling wheel crusher and is powered by a 18 HP V-Twin Briggs & Stratton gas engine with electric start or an optional Kubota diesel engine is available. Dollar for dollar it’s the best wheel crusher on the market today! The ALLTC-300 Wheel Crusher is designed to crush passenger and light truck wheels, 19” and smaller, at a rate of up to 120 per hour. Equipped for towing, the ALLTC-300 Wheel Crusher can easily be moved to any salvage yard or holding site. Optional safety cover and roller table are also available for the ALLTC-300 Wheel Crusher. Turn those scrap wheels into money today!